Luxurious French sensibilities and style is what truly sets the Sofitel Fiji Resort & Spa apart in a destination spoilt for choice. Just 20 minutes drive from the Nadi International Airport; Sofitel Fiji Resort & Spa is the ultimate, integrated destination with something for everyone. 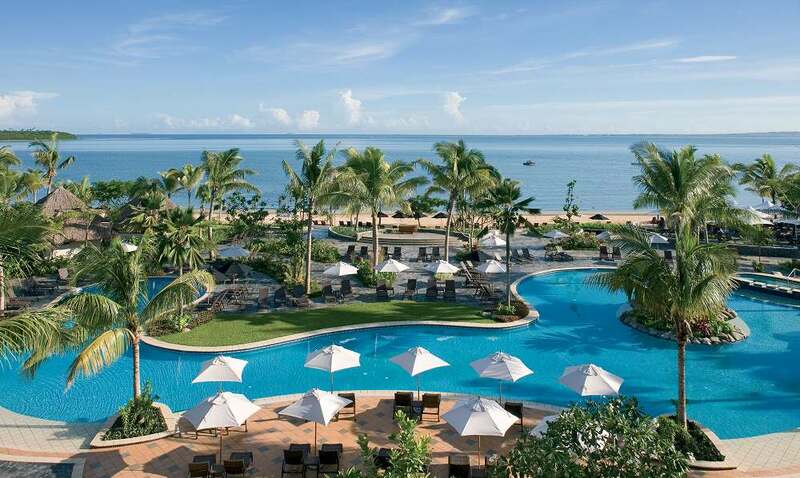 Photo copyright Sofitel Fiji Resort & Spa. Every one of Sofitel's 296 rooms and suites face the ocean and feature either a balcony or terrace to make the most of Fiji's great climate and are moments from Sofitel's spectacular lagoon pool and range of great restaurants including award winning "Salt" and bars.